I hope you are enjoying your days of rest and relaxation. Every primary teacher knows the 3 weeks of Christmas yet to come are intense. We'll be up to our eyeballs in glitter and glue, so hopefully you are going to gobble up some turkey and fall into a deep sleep! That is of course unless your CUH-RAZY like this girl and are going out tonight to stand in line with 5 gajillion other fools at Toys R Us and Wally World. Yes...I'm a wackadoo! This is my first year for going out before 4 am, but the black Friday ads are spinning in my head and I'm going to be brave and say CHARGE!!! Oh how I hope that Mastercard holds up through the night. Anywhoo! 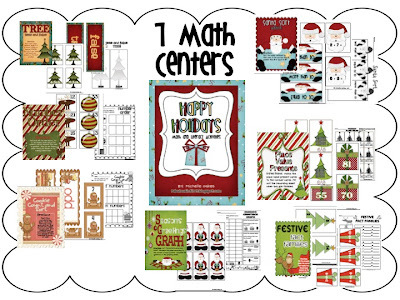 I thought I'd post a little of the turkey fun we had last week and let you know that my Happy Holiday Center pack is finally finished! 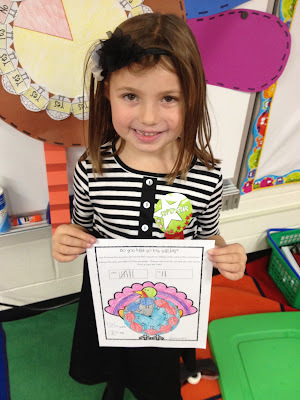 We read a A Plump and Perky Turkey. In this adorable story the people ended up eating Shredded Wheat on Thanksgiving. 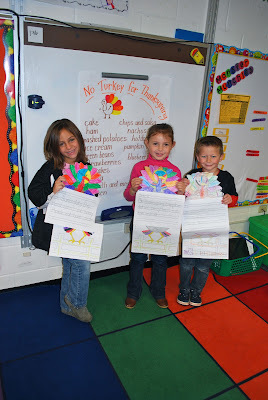 After reading, we brainstormed other foods we could eat for Thanksgiving. 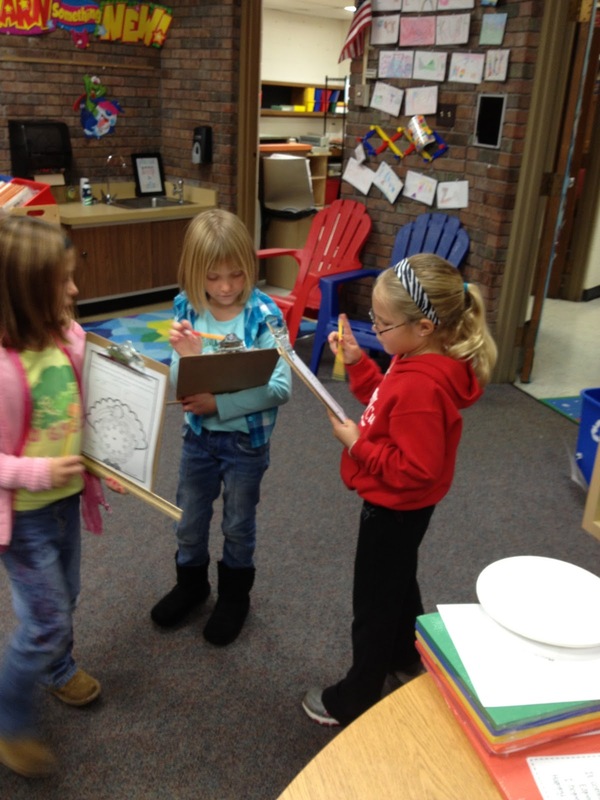 Then the kids tried to persuade their readers to eat another food instead. We had everything from nachos to brownies. We also read I know an Old Lady Who Swallowed a Pie and made these adorable old ladies, thanks to creative Mrs. Cara Carroll. I may have to keep them up all year they are so stinkin' cute. We also did this adorable graphing activity from Deanna Jump's Thanksgiving unit. She added a survey and pie graph for the students and my kids were rockstars with this activity. Their pie graphs were nothing short of amazing and beautifully colored I might add. 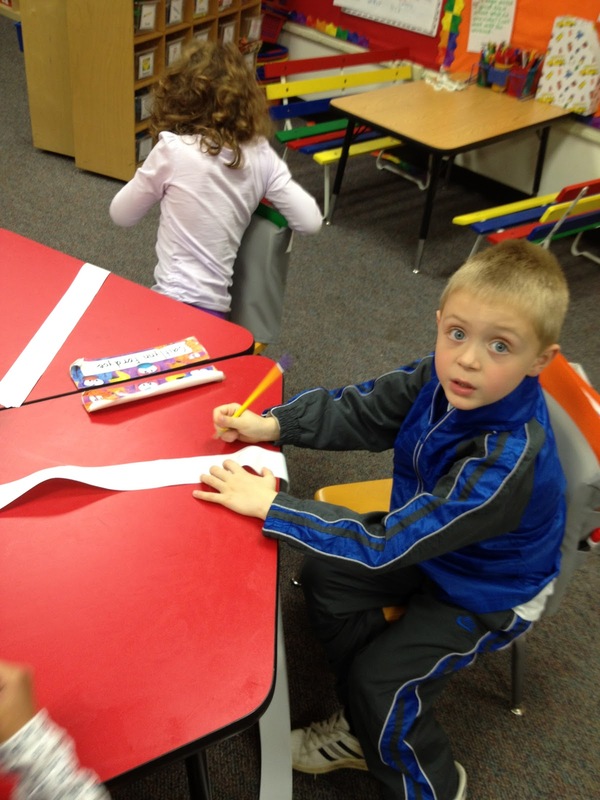 Last and not turkey related, we have been working on counting and writing numbers through 120. Let me just tell you how much more fun it is to write your numbers on register tape. Forget the turkey cookies we made. 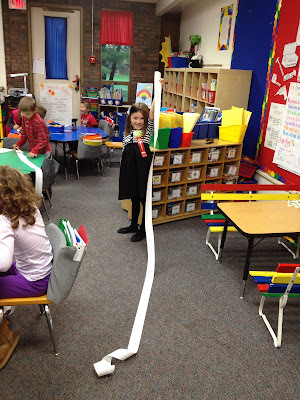 You would have thought I brought Toys R Us to first grade when I rolled out that white paper. Some little birthday girl I know wrote to 285! So that's it for turkey time. On to the Happy Holidays! Here is a little preview of my Happy Holidays Center Pack. It is jammed packed with everything you need for centers for the next 3ish wacky weeks ahead. PS. The first two comments to this post receive this pack for FREE! Happy Thanksgiving! These center activities look wonderful! 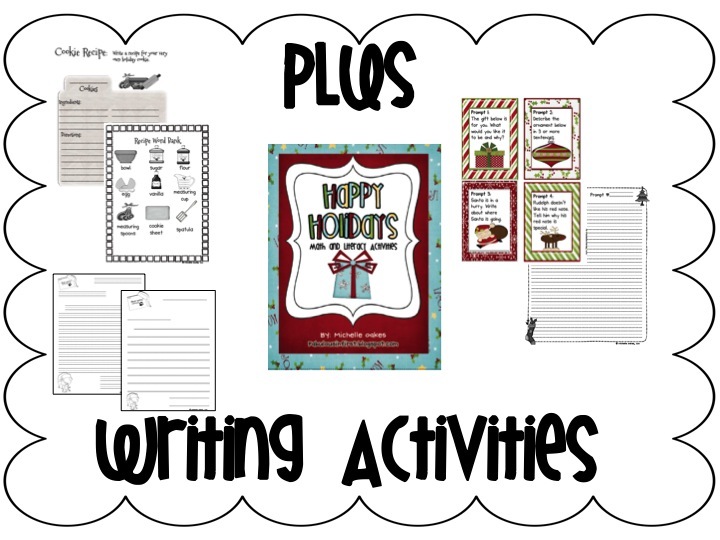 My kiddos will love them! I hope I am first! Have a Happy Thanksgving!! Your Thanksgiving activities look wonderful. Too bad, I wasn't one of the first two people!! 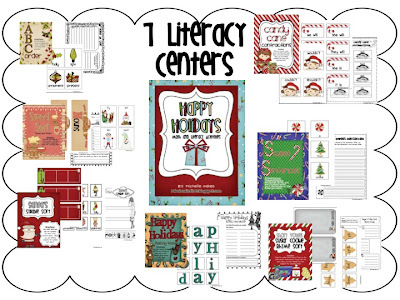 Your Happy Holidays Centers look fantastic!! 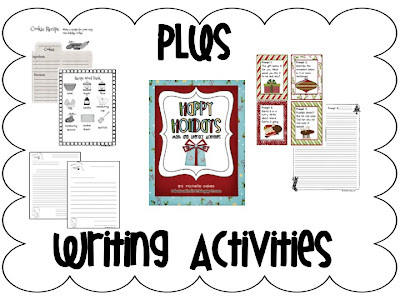 These activities look adorable! You do such great work! Happy Thanksgiving! And good luck shopping! I love the idea of writing on register tape! I am going to do that in my Math center on Monday!! Thanks! !